Alden Law PC provides professional legal services to businesses, emerging companies and startups, professional firms, and individuals in a variety of business and employment matters. A boutique law practice in the heart of San Francisco, we represent the business and personal interests of local, national and internationally based clients, committed to providing custom legal services at an exceptional value. Alden Law PC was founded by Vadim R. Alden. Vadim Alden is an experienced Bay Area attorney representing small and large businesses, start-ups, and individuals in business and employment law. Vadim’s corporate and business practice includes advising clients about business entities and start-up formation, drafting and negotiating employment contracts, commercial real estate leases, and working on a large number of acquisitions and related financings. 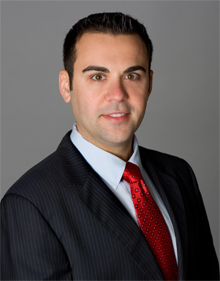 Vadim also serves as general counsel to several established and emerging companies in the Bay Area. For these companies, Vadim provides legal counsel in the areas of business entity formation and maintenance, executive compensation agreements, employee handbooks and policy guidelines, intellectual property, risk management, as well as general business and operational advice. In addition to corporate work, Vadim has broad-based litigation experience, successfully representing clients in all phases of litigation, including through arbitration and trial. Before founding Alden Law PC, Vadim worked at both large and mid-size law firms in the San Francisco Bay Area, representing foreign and domestic clients in corporate, employment, products liability, and regulatory compliance matters in California and other U.S. states and territories. Vadim is a member of the San Francisco Bar Association, the Contra Costa Bar Association. He regularly lectures and presents seminars on employment and business law. Vadim has been published in the San Francisco Daily Journal, and has been named a Rising Star by the Northern California Super Lawyers magazine in 2012 and 2013. Vadim received a B.A. from Claremont McKenna College, and a J.D. from Santa Clara University School of Law. Vadim is fluent in Russian and proficient in Spanish. To learn more about Alden Law PC, please call (415) 547-0501 or visit our Contact page to email us or schedule an appointment. Disclaimer	|	© 2014 Alden Law PC. All Rights Reserved.